Mountaineers fans are definitely very lucky to get to enjoy two years with Will Grier as quarterback. It’s good to know the feeling is mutual. In Grier’s last performance at Mountaineer Field he gets to take on Kyler Murray and the Oklahoma Sooners on Black Friday in a nationally televised game. To top things off a berth in the Big 12 championship game is on the line. All of this is not lost on WVU coach Dana Holgorsen. 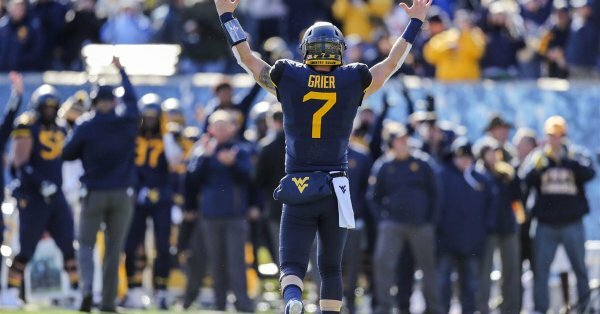 Will Grier loves being a Mountaineer. Here he is talking about what it means to him. 1️⃣ more time for the home crowd! Grier has already graduated from West Virginia University with a bachelor’s degree. This season he has thrown for over 3,300 yards and 33 touchdowns. It’s been an incredible two years to get to see Will Grier in a Mountaineer uniform. Kickoff is set for 8 p.m. at Mountaineer Field at Milan Puskar Stadium. The game will be televised by ESPN. Kyler Murray and the No. 6 Oklahoma Sooners take on Will Grier and the No. 13 West Virginia Mountaineers.